As OnTarget turns its focus on a new recipient for our OnTarget Cares charity, we would first like to tell you about our successful drive for Kale Brenner. Thanks to your generosity, OnTarget Cares raised $9,000 to help Kale’s family offset the expense of so any overnight trips to Chicago and the mounting medical costs not covered by insurance. Kale and his family wish to thank OnTarget’s customers for their prayers and charitable support in their time of need. On March 3, 2015, Kale was diagnosed with Hydrocephalus and an inoperable brain tumor. After multiple treatments and trips to Lurie Children’s Hospital in Chicago, Kale has demonstrated signs of improvement and his tumor has actually decreased. While Kale’s and his family’s fight is far from over, this little guy is a happy soon-to-be 4 year-old bursting with joy as he begins Pre-Kindergarten! 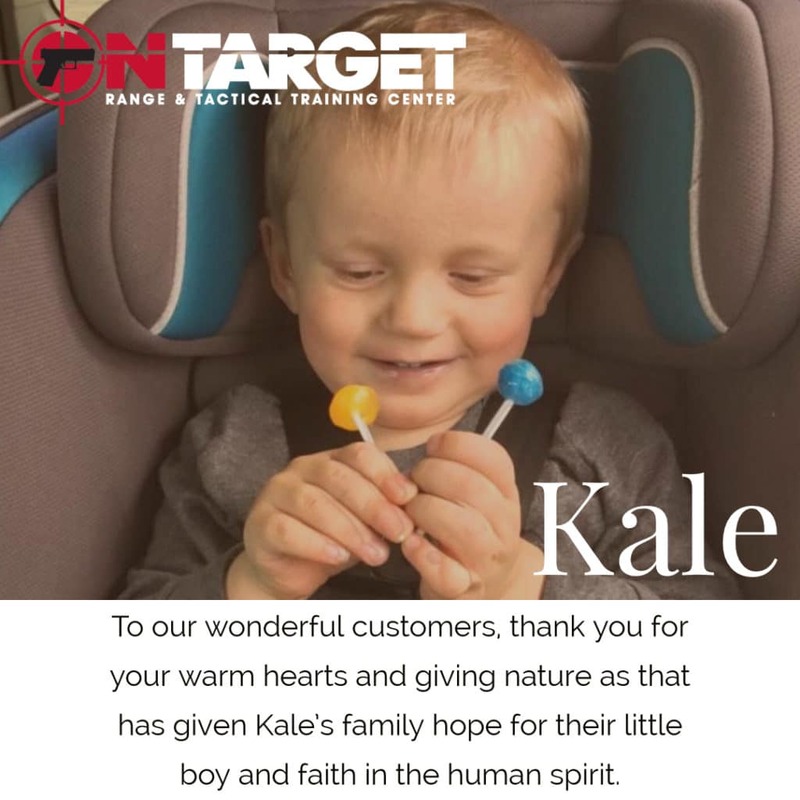 To our wonderful customers, thank you for your warm hearts and giving nature as that has given Kale’s family hope for their little boy and faith in the human spirit.